Call 703-620-01565 to schedule an excellent move with Randall Moving & Storage for your business or residential move. Serving Northern Virginia and Washington, D.C.
Trust Your Move to a ProMover! 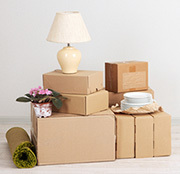 Randall Moving & Storage customizes move plans to meet your needs and any special requirements. Call us today to discuss your needs and let's get you scheduled! Our calendar books quickly so be sure to call as soon as you know there is a need. Don't get stuck with another mover that has an open calendar for good reason! 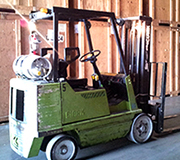 Randall Moving & Storage offers a wide array of Commercial and Corporate moving services. Our staff is among the best in the industry ensuring the safe transit of your valued assets. 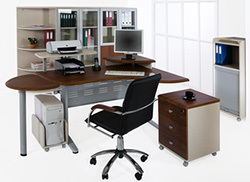 From office furnishings to electronic equipment, we can move your company. We also expertly disassemble and reassemble furniture. All of your office furniture and any heavy equipment is shrink-wrapped and padded in place prior to moving with the goal of providing you a completely damage-free move. Our storage building was built with storage needs in mind. All your belongings are loaded into individual storage vaults and protected with an around the clock security system. Hiring a moving company can feel stressful. Will they arrive on time, will they break my things, will anything be lost? Hiring Randall Moving & Storage ensures you are hiring a company that is licensed and accredited by the State of Virginia and is authorized by the Interstate Commerce Commission to move and operate anywhere within the Continental United States. As required through government regulations, basic moving insurance is provided automatically and you have the option to increase the insurance if desired. We abide and believe in strict compliance with the regulations and rules of the moving and storage industry. We maintain our proud industry qualifications through our long-standing memberships and contributors to the Household Goods Carriers Bureau and the American Movers Conference. So, when you call Randall Moving & Storage you'll know from the start you are calling a certified PROMOVER, MC # 161503. Your workers were terrific. They arrived on time and worked consistently all day.